The French ‘Art de Vivre’ (art of living) held for 300 years by the oldest of the major Cognac houses. 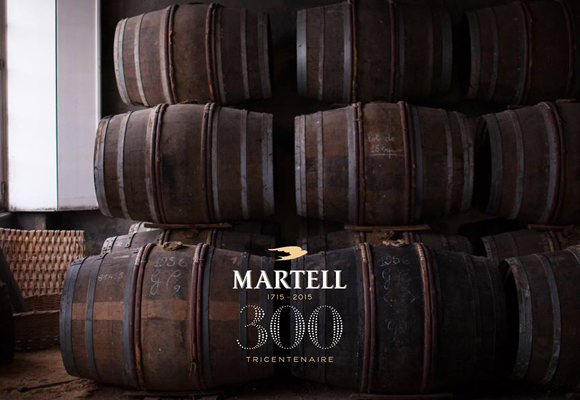 Martell, with three hundred year history, is one of the oldest houses in Cognac. It is part of the wines and spirits’ subsidiary Martell-Mumm-Perrier-Jouët, belonging to the French group Pernod Ricard. In 1715, year of the house Martell foundation, the French ‘art de vivre’ was at its peak and France lived a celebration of gastronomy, hedonism and pleasure of living the moment. Jean Martell, to reach France after leaving in his native Jersey, found the culture of refinement and excellence established as a trader of ‘eaux-de-vie’ (water of life) in Cognac. 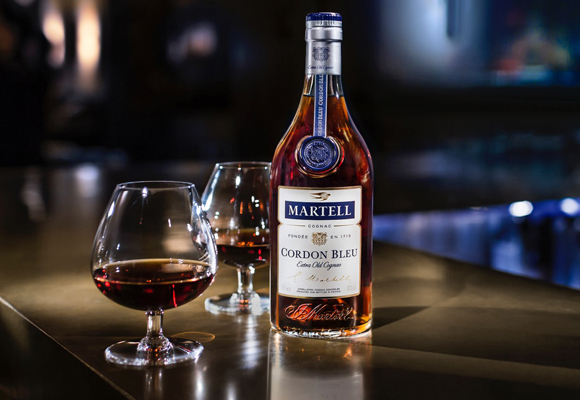 In 1721 Martell was already exporting 200,000 liters of cognac to the UK and in 1868 the brand launched its distribution in China, Japan and Hong Kong. 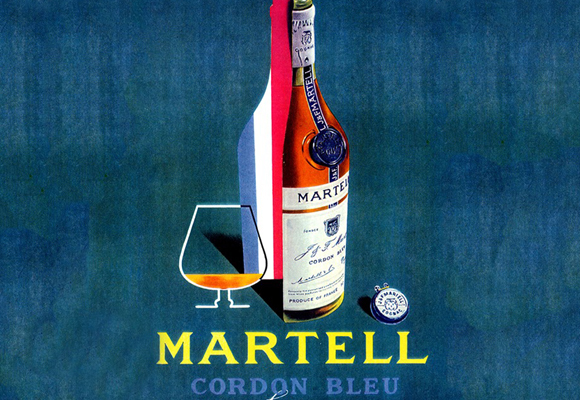 In 1912, following the family tradition, Edouard Martell created the brand Cordon Bleu, which remains a key reference point today. Its softness and fineness of flavors, Martell style characteristics, are achieved by mixing 150 selected ‘eaux-de-vie’. To locate the wine region of Cognac, it is divided into six zones of vineyards – called Crus – in the region of Charente, near the Atlantic. 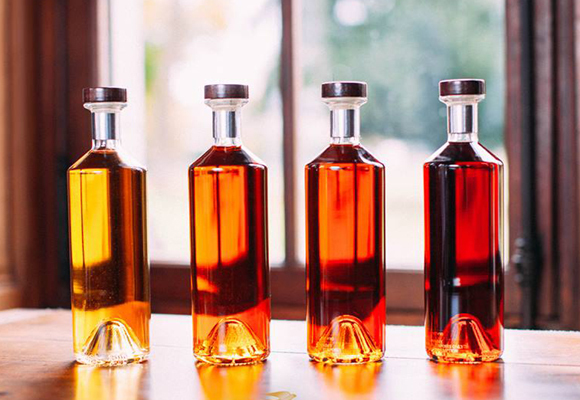 Martell was established in Les Borderies, the smallest and valuable Cru of the Cognac region. A place where Ugni Blanc grape variety grows in the clayey soil with silica sand and gives the “water of life” its characteristic floral aromas and exceptional silkiness. It is the uniqueness of this terroir which endows elegance and Martell cognacs incomparable subtlety. 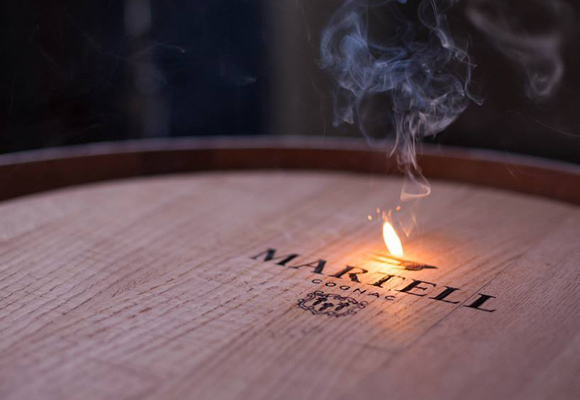 Martell is the only major Cognac houses that only distilled the ‘vins clairs’ – of all the impurities and sediments are removed- in order to obtain an exceptionally pure and fine brandy. From there is obtained a spirit which subsequently is stored in oak barrels for aging leave for a minimum period of two years. Finally, different spirits are assembled to achieve a particular flavor. 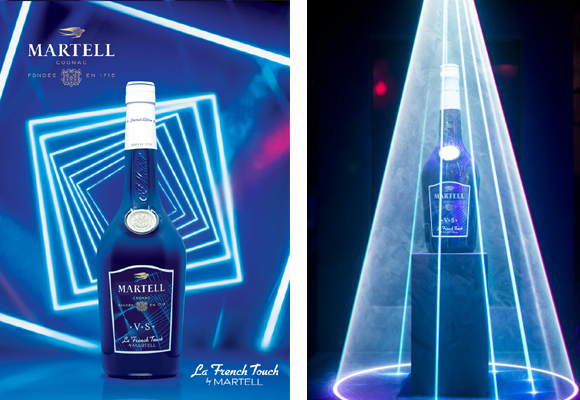 Martell VS (Very Special) was created more than 150 years ago under the name “Trois étoiles” (three stars) is considered a brilliant young cognac made from ‘eaux-de-vie’, aged for two years on average. His fresh and fruity aspect makes it an ideal starting point in the preparation of cocktails. And talking about cocktails, Martell presented on Wednesday 10 February in London “The French Touch by Martell” exceptional limited edition of Etienne de Crécy. The night began with the ‘Mixology workshop’ at the Mondrian Hotel Dandelyon Bar where the mixologist ambassador Matthias Lataille, delighted us with his savoir faire. Final night in Wellington Private members club with DJ Etienne de Crécy, who accompanied with his latest album Super Discount 3 the performance of Martell VS bottle between neon lights. In 2006 Martell joined the Colbert Committee, prestigious international association representing the French luxury houses by promoting ‘art de vivre’. 161 queries in 0,334 seconds.